In the world of social media and instant gratification we are in the habit of only using our photographs digitally (myself included!). It’s crazy how often I delete photos off of my phone, just to add new ones, but where will these photos be in ten years? Archived on Instagram? Filling up your iPhone? Maybe even sitting on a corrupted hard drive (insert jaw dropping emoji here). Print your photographs. Head on over to Artifact Uprising as fast as you can before your family’s legacy is lost! I have been kind of obsessed with the quality of their matte, textured Everyday Print Sets and they way they come packaged. Super budget friendly way to be able to hold those golden little memories in your hand. I’m like the shoemaker without shoes but this year I have vowed to print more photos of my family. It’s a small investment in our family’s legacy. Besides there is nothing better than being able to hold something tangible or imagining your children laughing as adults over that one really embarrassing potty photo (you know the completely naked, sunken down in the bowl, reading a book, one). Even though I offer digital galleries to my clients I am a firm believer in getting those photos off of your digital screens and into your hands. I make sure there are printed heirloom pieces in all of my sessions. 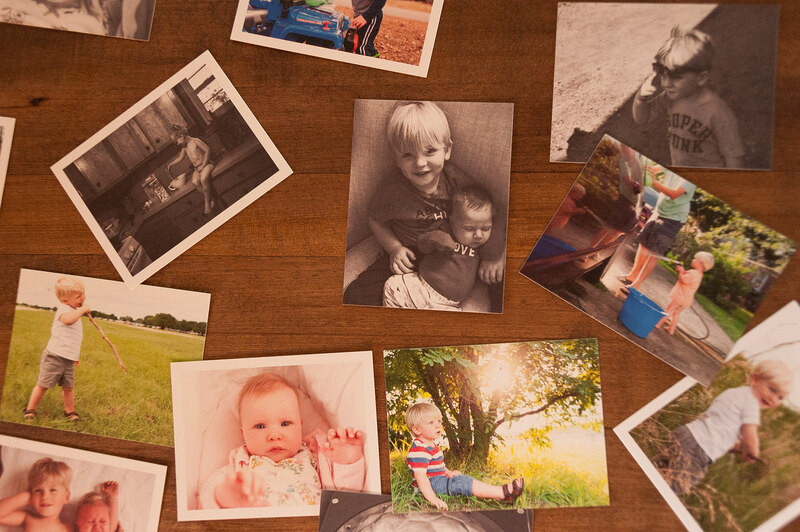 It provides something tangible for you to hang on to and see the value of getting photos off of devices and into photo albums.